“Your network is your most valuable asset.” That’s something that I learned from Jordan Alder in his book Beach Money. My goal in the rest of this post is to explain WHY your network is your most valuable asset AND to give you a few helpful tips to grow your own network. Many network marketers, business people, and non-business folks totally underestimate the value and importance of having a good network. In most cases, it’s not taught in business school or in the real world. However, after reading this post you no longer have an excuse NOT to build a network of your own. It’s often said, it’s not what you can do that matters, it’s who you know. Well, you do have to be good at what you do to succeed, but that’s definitely not enough. Knowing the right people helps significantly. I’d also take it a step further and tell you that it’s also what the people who know you think of YOU! If you want to succeed in anything in life, it would be in your best interest to build up a HUGE network of influential people who know you, like you and trust you. Once again, this advice is for everyone and anyone, whether you are a network marketer, a government employee, a traditional business owner, etc. Rather than just focusing on prospecting people to recruit for your network marketing business, it’s more important to make a friend first. Show a genuine interest in others without an agenda to sponsor them into your business. Get to know people. Ask them questions. Find out their interests, desires, talents and abilities. Start building a relationship. And as you do that, come up with a game plan to STAY IN TOUCH with them. That’s right, you need a STRATEGIC follow-up plan for people in your network. This is where the rubber meets the road. You need a plan that dictates how often, when, and what you will do to follow up with each person. Your real goal is to add value to other people’s life and help them get what they want. By all means, you should let them know what you do for a living, but make sure your relationship is a win-win for both people involved. Don’t make it all about you (or your business). Make it a point to stay in touch with every person in your network every 30 to 90 days. Send a combination of emails, letters, phone calls, cards, etc. Help the person get more business. Send them referrals. Do what most people don’t do! And remember, everything you give out will be reciprocated to you TEN FOLD, or even more. In the book, Jordan Adler mentions that a network of even 500 people can be worth millions to you in your life time. I definitely agree. And it’s not the size of your network that matters most. It’s the relationship you have with your network that matters most. Where most people fall short is they don’t stay in touch on a regular basis. They meet someone interesting tonight and then never talk to the person again. Make sure that you get the contact information for EVERYONE you meet. Don’t let a sharp person get away without getting their contact information. And then stay in touch. Anyone can meet someone new. But, it takes a HIGHLY disciplined person to stay in touch month after month after month. It takes a special person to give before they receive. It takes time, money and effort to cultivate strong relationships with your network. But it’s worth it! And because so few people do it, this gives you plenty of opportunity for success. There is plenty of room at the top. Make it a point to add at least one to two people a day to your network EVERY DAY. Add two people a day for a year and that is 730 people in your network. Do it everyday for five years and that would be 3,650 people in your network. What do you think your business would look like if you had 3,650 people who liked you, knew you and trusted you? Heck, what if you only got 1/3 of that and had 1216 people who were part of your network? Don’t you think you could find some customers from your network? Don’t you think you could find some business builders for your network? The answer is HECK YES. The only real question you have to ask yourself is WILL YOU? 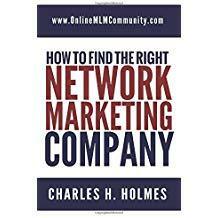 So remember, your network is your most valuable asset in your MLM Business, your traditional business and in life. Make sure that you are always adding people to your network and make sure that you provide value to your network. Do what you can to help others. Be a friend. Refer business. And communicate often! Do that and you will succeed. Don’t do it and you will fail. What are your thoughts? Do you think your network is your most valuable asset in your business? Leave a comment below to tell me what you think. I look forward to hearing from you. Your Network is a very important ally in life. With that said, you must be careful on who you network with. There can be those who bring you down negatively, or are taking advantage of you. There are times when I am a bit choosy who is in my Network. You want to know their careers and lifestyles, I wouldn’t want to network with a striptease dancer or anything like that. Any thoughts? Do we just network with anyone, or are you a bit choosy too? I avoid lazy and negative people. Everyone else I give a chance. People can also lead you to people. This is really good. I have a lot of trouble keeping up with people that I meet with. Do you have a method of keeping track of your contacts that you might share with us? I use a rolodex and just mail everyone on my list a couple times per month. I spend a lot in mailing each month, but I look at is as an investment. I also send personalized cards to everyone once or twice a year minimum. This is good advice. It is always good to know a lot of people for good reasons, but do not be just a name dropper. A prevalent theme in this website seems to be that you need to be generous with your time, knowledge, advice and assistance, and I agree with that philosophy. If you are generous with your gifts (and I don’t mean just the material ones), you will receive many in return, and the circle of people whom you can say are in your network will always grow.